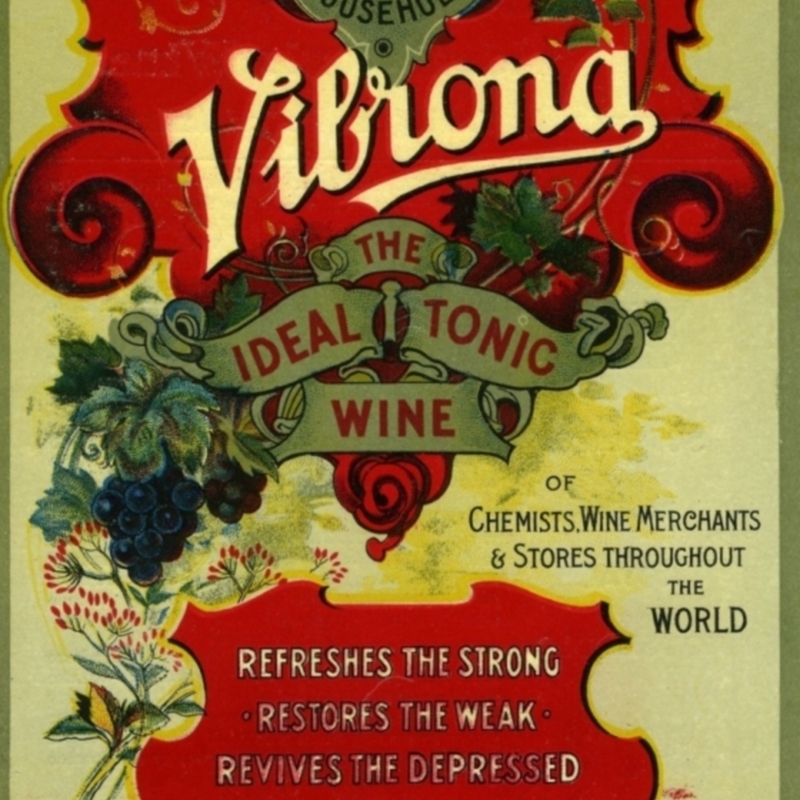 Advertising leaflet for Vibrona tonic wine. Found inside a library book. 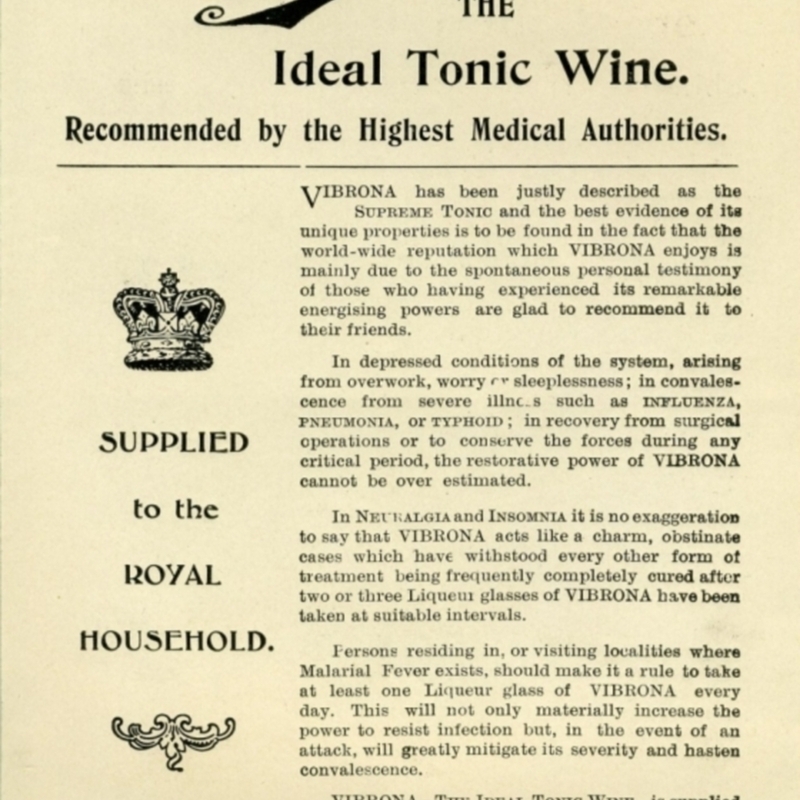 Fletcher, Fletcher & Co. Ltd.
Fletcher, Fletcher & Co. Ltd., “Vibrona Tonic Wine advert,” Heritage, accessed April 20, 2019, https://heritage.rcpsg.ac.uk/items/show/398. 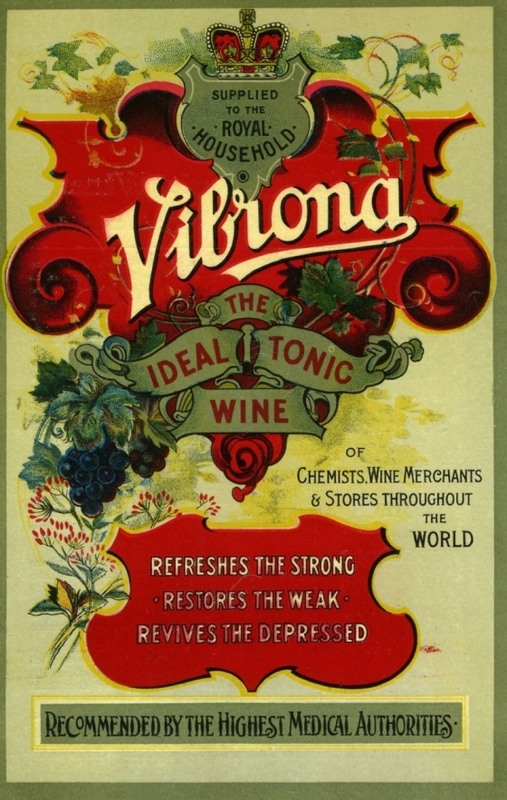 Description: Advertising leaflet for Vibrona tonic wine. Found inside a library book. 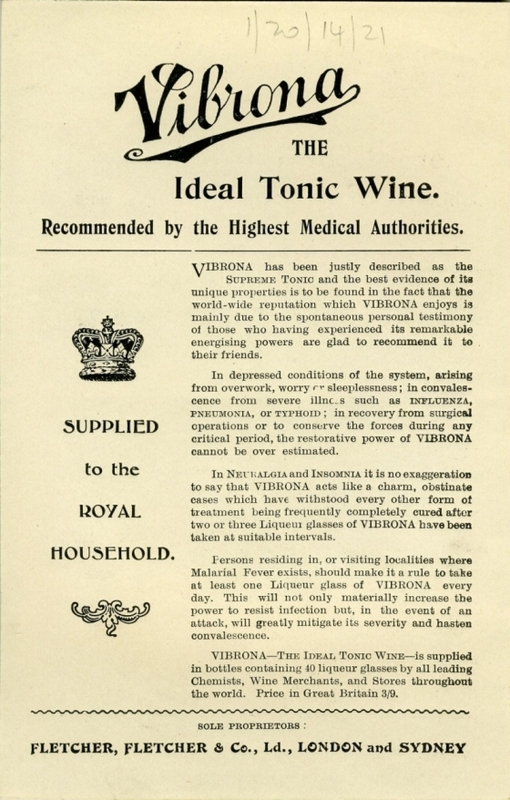 Creator: Fletcher, Fletcher & Co. Ltd.